One of the most significant urban planning projects of Helsinki city area is the property of the Hanasaari power plant. The plant is situated in the heart of the city and was commissioned back in 1974. It uses coal as a fuel and produces 220 MW of electricity and 420 MW of heat for central heating system of Helsinki. The plant will be dismantled next decade and the area will be converted to a residential area. The challenge for this conversion is that the soil underneath the plant is heavily contaminated and need to be remediated. Doranova was one of the three companies that got an opportunity to pilot their remediation solutions in a European wide tender process. Doranova started the pilot phase by bringing purpose-built DoAct CORE remediation unit to the site in Autumn 2018. This CORE unit will be applied throughout the 12-month pilot phase. In addition, DoAct DIRECT system will be used next summer to treat the most contaminated hotspots. During the pilot phase the city of Helsinki evaluates the efficiency of different remediation methods. Therefore, the contractor for the actual full-size project will only be decided in late 2019. – This kind of an approach is exactly the right one in project this big, says Perttu Mattila, the Head of Soil and Groundwater remediation. In this way the city can safeguard that taxpayers’ money is well-spent and the power plant area can be safely converted for residential use in the future, Mattila concludes. DoAct® CORE -unit in Hanasaari, Helsinki. 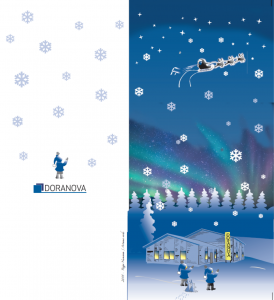 Doranova wants to thank everyone for the year 2018 and wishes everyone Happy Holidays and successful New Year 2019! In March, Doranova completed and handed over a pilot scale landfill gas project to the client in Kitwe. This project was partially financed through EEP (The Energy and Environmental Partnership). 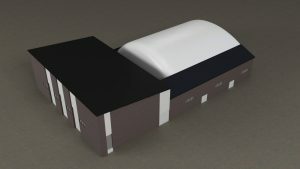 – This project gave Doranova a tremendous amount of new information about newly designed low-cost gas collection systems. At the same time the client was able to improve their waste management practises and start to decrease harmful greenhouse gas emissions caused by the Uchi landfill. Project development and execution in Africa is challenging but it is rewarding to see clients starting to understand the full picture of the waste management, Rogerio Da Conceicao, Regional Business Development Manager, describes. – Doranova continues to develop projects in Zambia as well as in other parts of Africa. While the socio-economical situation in many countries is more challenging than for example in Asia, the widely-spread interest in green energy solutions and waste management offers great opportunities to Doranova, Mikko Saalasti, The Head of Renewable Energies, summarises. The landfill gas extraction and utilization system delivered to Binh Duong Water-Environment Joint Stock Company (BIWASE) was commissioned in January. In Zambia the pilot plant was commissioned in the end of March. – The landfill gas plant built to Binh Duong, Vietnam was commissioned in January and since then the client has been able to operate engines more than 1,000 hours and to produce 800 MWh of renewable electricity tells Mikko Saalasti, The Head of Renewable Energies. According to Saalasti, the plant has been operated as planned, and the gas yields are in fact higher than originally estimated. Therefore, BIWASE has already proposed that the extraction system will be expanded together with the landfill. Doranova will continue business operations in Vietnam and currently there are multiple active projects under development. 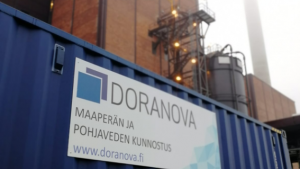 In addition to landfill gas systems, Doranova also concentrates to develop biogas plant projects in this market area. Especially Hardferm plants are perceived as a high potential solution for Vietnamese waste management clients. – It is extremely important to utilize the energy and fertilizer value of the organic waste also in areas where source separation of the waste is not applied. The utilization of this waste will eventually make the source separation easier and in this way waste management companies can increase their overall recycling rate, Saalasti summarises. Due to Christmas holiday, Doranova staff is on a holiday between December 25th and 26th.